Zoie Barth, a Sophomore at Highlands HS, had an excellent year on the court for the Ladybirds. Barth reached the 1,000 point club this season and also won MVP for the 36th District Girls Tournament. She started playing Varsity for Highlands when she was a 7th grader and since has averaged 15 ppg and shoots 85% from the FT line. Not only is Zoie a talented athlete, but she strives to be the "best person she can be." She has a love for basketball, however, she has a love for her teammates too. As the District MVP this season she scored 23 points, 5 assists and 6 steals against NCC. 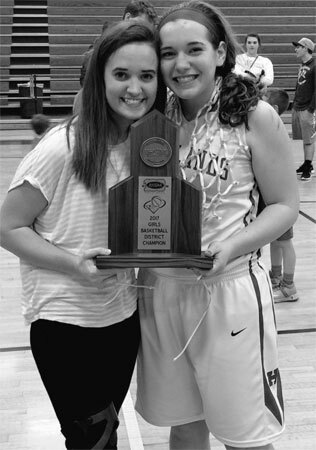 But Zoie unselfishly chose to give her recognition to her teammate, Macy Gabbard, as Macy has been out since the beginning of the season due to an injury. Zoie is one of the first players on the court to give a hand up to a teammate as well as an opponent. With last night being the end of the season for the Ladybirds, Zoie had 15 points, 5 steals, and 3 assists. Zoie demonstrates top notch sportsmanship, respect, genuine concern, and most of all is the true example in the meaning, "There is no I in TEAM and Zoie Barth is all around MVP".